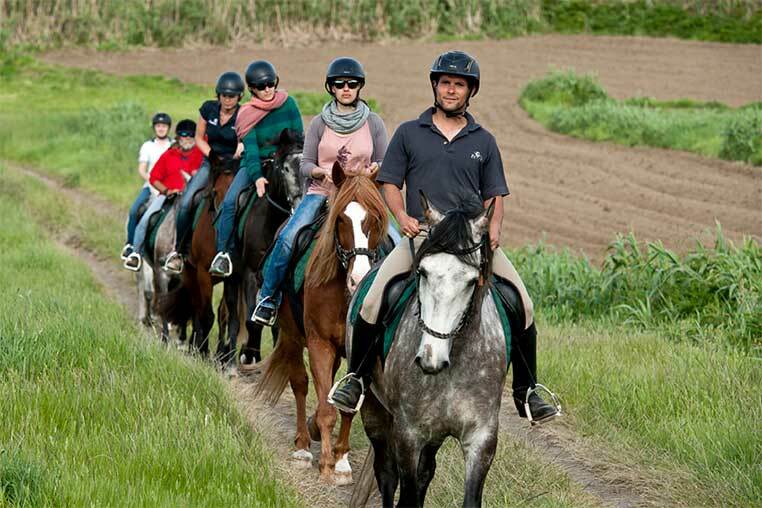 No horseback riding experience required. Max. 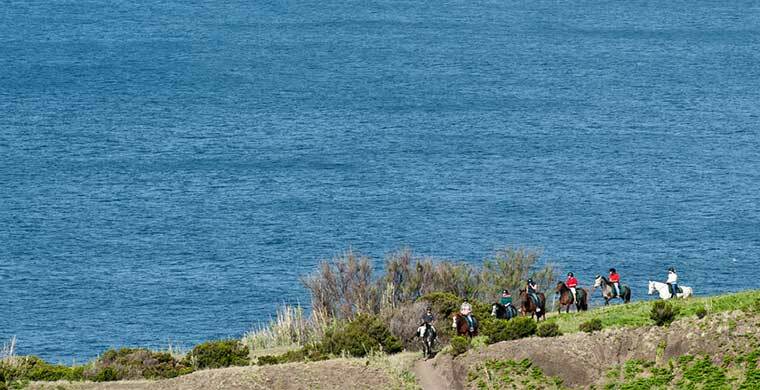 riders weight 95 kg. 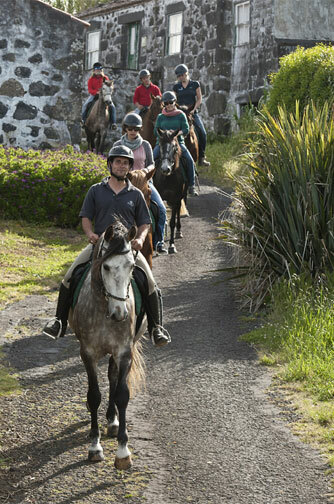 We start our trail on PÁTIO’s team of relaxed, well-ridden horses at the Lodge. 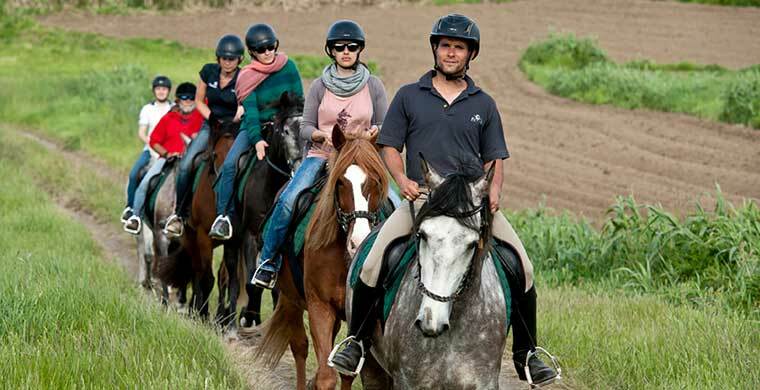 During a personal briefing you learn everything about your horse that you will need to know for the trail ride. 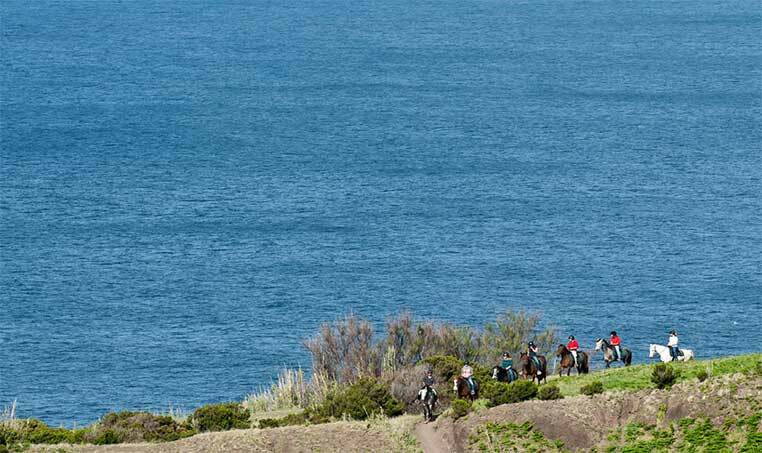 After a short test-ride you head off on the trail with your guide. 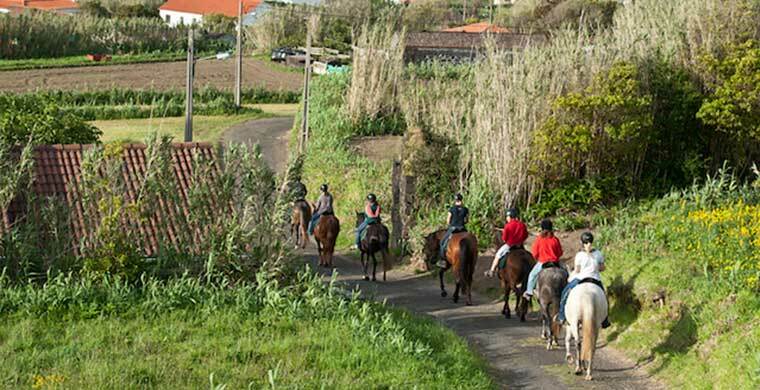 We ride on well-known path and roads through the evergreen countryside of the Azores. 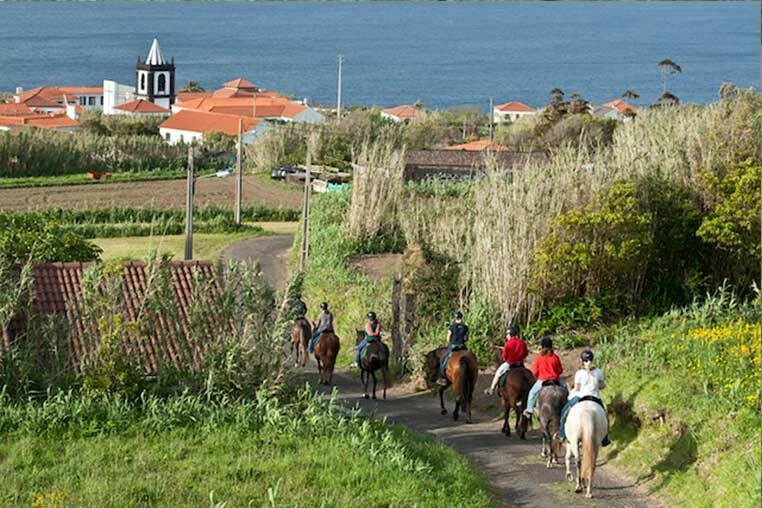 We pass through old settlements before arriving at the coast. 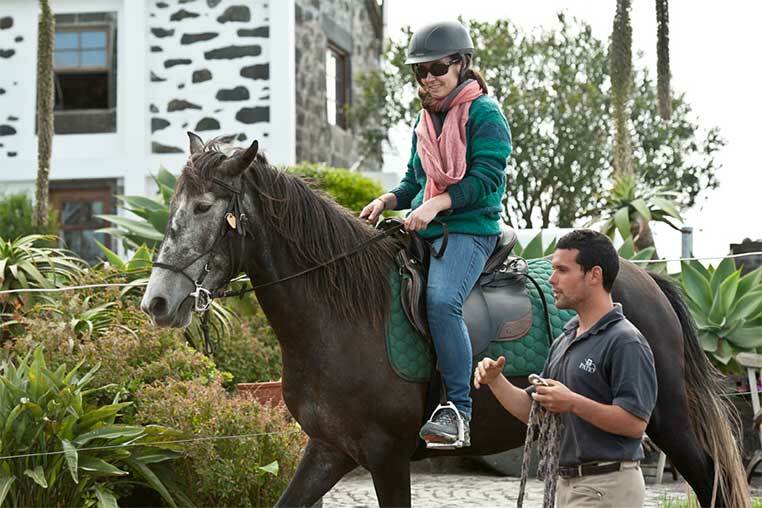 There is possibly no better way to enjoy the sounds of the Atlantic Ocean’s surf and the breathtaking views of the sea and the neighbouring islands than from horseback. We pass along old village roads to arrive back at the Lodge after around 1.5 hours. 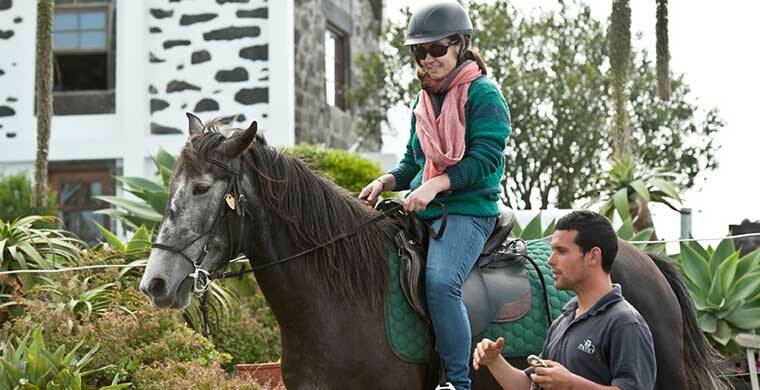 After returning to the Lodge, guests can enjoy a typical Azorean picnic incl. drinks in the Lodge (not included in the trail price). 365 days per year. Booking 24h in advance.